Bertil Akesson grew up in Madagascar, and over the years learnt the secrets and subtleties of managing and developing plantations of cocoa and spices. He now has plantations in Madagascar, Indonesia and Brazil, and supplies some of the best chocolatiers & chefs around the world. Having worked with so many passionate chocolate makers, he set out to experience the thrill for himself, and established a small and exclusive line of chocolates & fine foods. 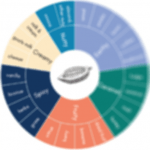 His range includes including pepper, salt, vanilla, and nuts – all of which can be found in his unique chocolate bars. 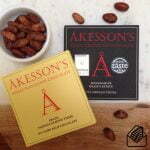 An international tea tasting expert selected Akessons 75% Madagascar bar as the perfect accompaniment to a type of Chinese oolongt ea known as Rougui!